Training homeless & marginalized youth to be the directors of their own films and lives. At Outside the Frame, we change the way homeless youth see and are seen by teaching them filmmaking. We are proving that homeless youth are not a liability, they are an asset to our communities. As they make their own films, they gain employable skills, and build the confidence and motivation to embrace and contribute to society. In our film workshops, youth learn all aspects of film production and create films about issues that matter to them. Workshops are facilitated by professional filmmakers and trained program alumni who work as peer mentors. Named 2018 Best New Nonprofit by Portland Monthly Magazine. FILMS by our young filmmakers. more on our vimeo channel. Presentations include original films and an unforgettable discussion with young filmmakers who have experienced homelessness. Galvanizing for students, and unique professional development for educators, policy makers, healthcare and social service providers. Help young people experiencing homelessness tell their own stories and get them seen. Outside the Frame is a 501(c)3 non-profit and donations are tax deductible. To empower homeless and marginalized youth to educate the public about issues they face by producing films with youth that convey their experience. Outside the Frame changes the way homeless and marginalized youth see and are seen through film. Participants learn film making from pre-production to broadcast with mentorship of professional filmmakers. The films produced depict issues that pertain to and are determined by the participants. Hearing what young people have to say for themselves through screenings and presentations increases sensitivity and reduces stigma. Technology training and job readiness experience that is competitive, relevant, creative and not typically available. Our workshops offer a space for participants to reflect on, make sense of and share their stories. The films align with local organizing efforts that confront systemic issues the participants face. 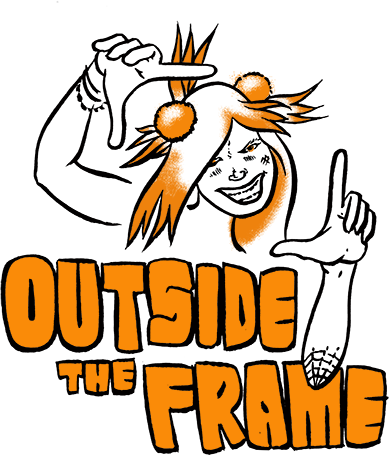 Outside the Frame was founded with the idea of helping homeless youth value themselves as productive members of society. We partner with excellent social service organizations to provide a much-needed creative outlet, technological training, and a sense of success that is contagious and visible to the public. We believe that to thrive, young people need more than their basic needs met. We offer a model educational and vocational program, where young people create films about issues that matter to them and share them with the public. Program graduates have gone on to complete their GED, enroll in college, gain employment and stable housing, and make movies. Our professional film production team is available to produce high quality, authentic and captivating videos for your business, organization, event or cause. 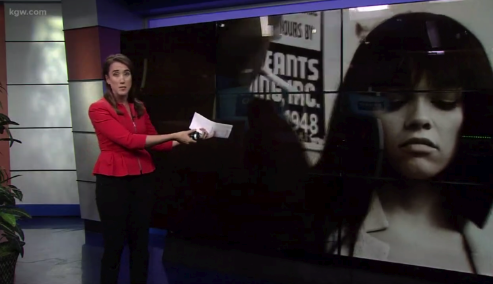 "I’ve seen thousands of promotional videos, but this one actually feels real!" Lori Slaughter, Development Director, Outside In. We are available to facilitate film workshops for your group or organization. Participants will learn about filmmaking from pre-production to broadcast, and have original creative films to share at the end of the workshop. Bi-lingual, bi-cultural and the daughter of independent film makers, Nili thinks the best way to change the world and have a good time is to make movies. A supplemental educator for over a dozen years, Nili brings an allergy to injustice and a tested vision for the program. 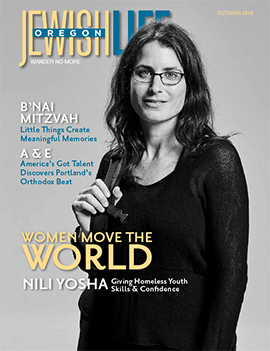 Before founding Outside the Frame, Nili created and ran an innovative and visible media program at Outside In for three years, with support from the Office of Minority Health. She continued amplifying the voices of youth with a mental health awareness campaign through Clackamas County, leading an educational program at Planned Parenthood and teaching film making with POW Girls. Anna has taught diverse groups of Portlanders through NW Documentary's StoryCraft, Recording Resilience and Produced By Her. She is also a founding member of the radical queer video collective Sensory Organizing Project. She holds an MFA in Film/Video Production from the University of Iowa. Erin is a documentarian who works in the mediums of audio, print, and video. Her work focuses on themes of the untold story, the unheard voice, comparative experience across identities, and the clean and sharp edit. She is the co-director of the award winning film Arresting Power. She is also the Program Director at KBOO Community Radio. Erin makes sure Outside the Frame stays true to its mission and connects us to amazing collaborators. Lydia believes all CPAs should study art, and vice versa. She is a senior accountant at Portland's most admired firm, Perkins & Co., by day, and a screen printer by night. Lydia does fiscal oversight for Outside the Frame. Raised in Detroit, Michigan, Ramona describes herself as “a free-spirited motivator with lots of wisdom to share and love to spread, advocating for the youth of my generation.” Knowing what its like, Ramona is a fierce advocate of homeless youth. In addition to working as a Millwright, Ramona raises her 10 year old son and is active in her church. Juliana Wallace, LCSW, CADC III, currently serves as the director of services at Unity Center for Behavioral Health. Juliana has over ten years experience working with homeless transition age youth in Portland. Wallace is an adjunct professor at Portland State University School of Social Work teaching a course on Trauma-Informed Care. She has presented at many national conferences on health care and homeless issues. A life long learner of Trauma Informed Care, Recovery, and the power of Love, her current clinical practice is grounded in the connection of trauma and stress to coping skills, self-reflection, and promotion of safe spaces to practice vulnerability and system change. John has been delivering health services to our community’s most vulnerable members experiencing homelessness, trauma and poverty for 30 years. He is a Clinical Officer for Cascadia Behavioral Healthcare. John served as Outside In’s Clinic Director and helped establish it as a Federally Qualified Health Center. John is also the current Board President of the Oregon Primary Care Association. Cassandra, like her namesake, articulates what lies beyond the surface. We listen. An alumna of Outside the Frame’s programming, Cassandra brings the insight of someone who has lived on the streets of Portland and gotten out. She lives with her husband and children and is studying to become a drug and alcohol specialist. Join our team of paid mentors and volunteers. Operations Support Specialist. Click here for complete job posting. Composer. Seeking music as original as the films. Film industry professionals for full or half day workshops sessions or post production work. For more information, use the form below or give us a call at (503) 662-8344. Be the first to know about screenings, workshops and the latest gossip. We respect your privacy and the amount of emails you get. Thank you! Don't forget to confirm your subscription. Sarah Hansell "Youths experiencing homelessness tell their stories through short films." Street Roots, Nov 10, 2017. Melanie Sevcenko, "Homeless Youth Screen Documentary 'Leaving Home,'" The Skanner News, Nov 8, 2017. XRAY in the Morning, "Group Therapy feat. Nili Yosha, Denis Theriault, Malakai Valtiari, Devon Wheeler." XRAY FM, 24 May, 2017. Bond, Keiren. "Youth Homelessness and the LGBTQ+ Community," X-Ray FM. Group Therapy, Nov 8, 2017. McCann, Fiona. "Portland's Lost Boys are coming to a screen near you." Portland Monthly, 2 June, 2016. Sepulvado, John. "The Lost Boys of Portlandia." OPB, State of Wonder. 11 June, 2016. Starts at 31:12. Giegerich, Andy. 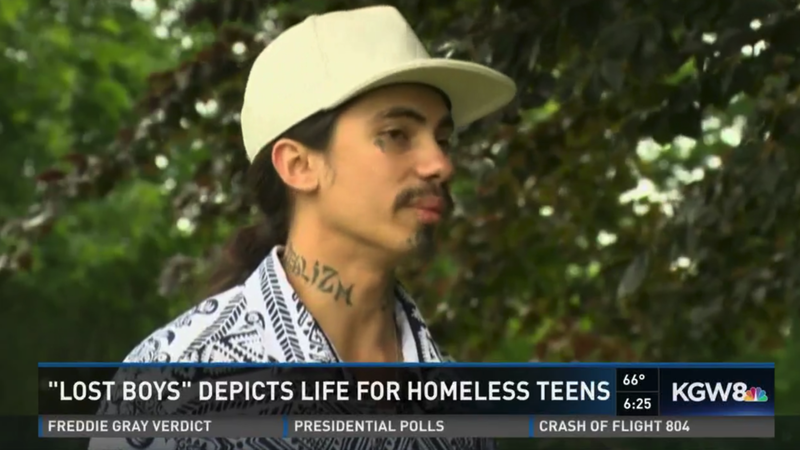 "On the set with the homeless youth-made film 'The Lost Boys of Portlandia.'" Portland Business Journal, 24 May 2016. Lyndsey Hewitt, "'Lost Boys of Portlandia' lets city's homeless youth be creative," The Portland Tribune, Feb 27, 2017. Labrise, Megan. "The Lost Boys of Portlandia." Reed Magazine. Volume 95, No. 3: September 2016. KBOO Youth Collective, "The Underground," KBOO Community Radio, 26 November, 2016. Starts at -26:00. Weitzel, Monica. "Community Hotline." Metro East Community Media, Channel 21, 26 May, 2016. Outside the Frame, Portland, OR. (503) 662-8344.